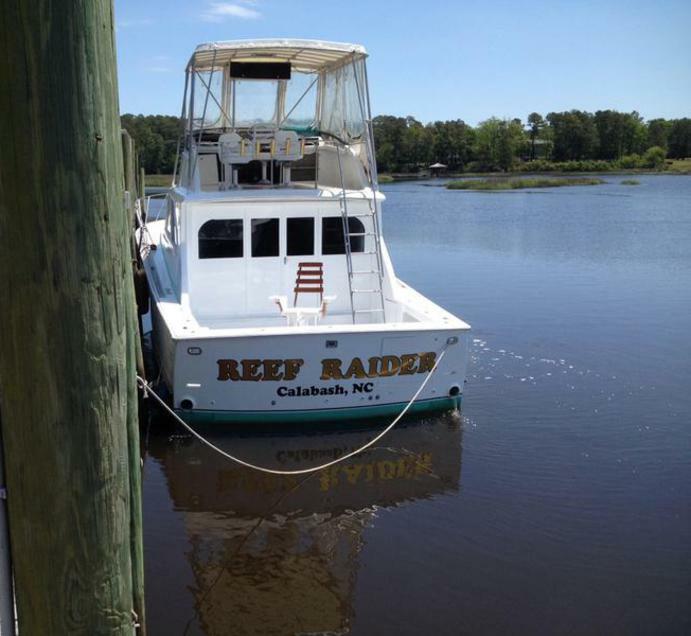 The Reef Raider is a “6-pack” Deep Fishing Vessel located On B-Dock at Cricket Cove Marina. We can accommodate up to 6 passengers and carry 1 Deckhand. We are only 10 minutes from the Ocean therefore you have more FISHING time! Specializing in Trolling & Bottom Fishing, King Mackerel, Black Sea Bass, Dolphin, Shark, Snapper. Grouper and many other Species, 15 foot beam of this boat will provide you with a stable and safe fishing platform. 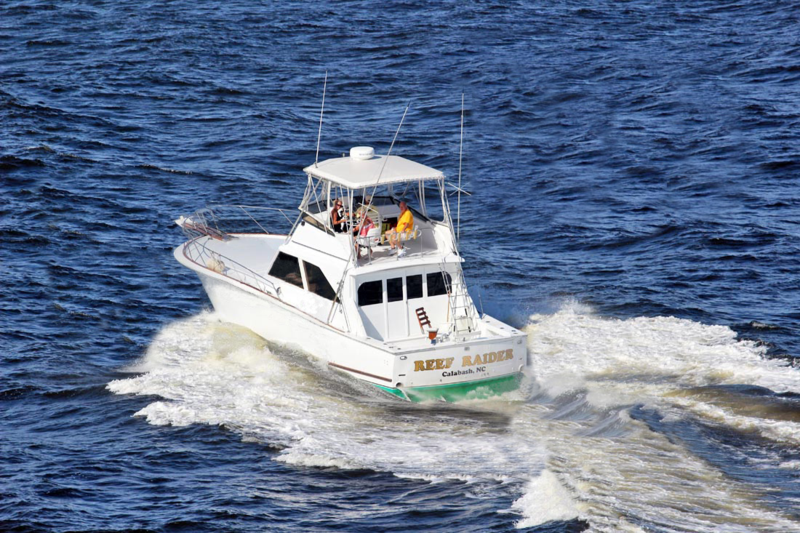 The Reef Raider is a 53 X 14.5' Sport Fishing Vessel. It is powered by two Detroit Diesel engines to get you to the fishing grounds and back to shore safely, which conforms to all U.S. Coast Guard requirements. It has all modern electronics such as Loran, GPS, 48 Mile Radar, Color Bottom Machine and Epirb. It has a spacious cabin with running water, and 2 Private Heads (bathroom) with showers, Fully AIR CONDITIONED Cabin with Stereo and 32' Color TV with DVD player for the Kids. 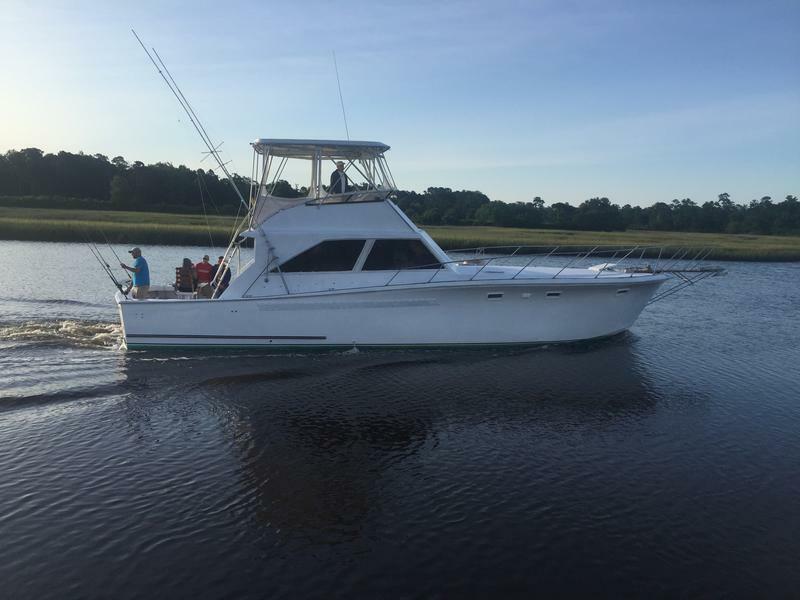 Captain Ron is a professional with over 20 years experience in fishing the Carolina and Florida Coast.. The only items you need to bring are Rubber Soled NON Marking boots or shoes are recommended. The weather changes day to day, mornings cool, afternoons hot, so we recommend layered clothing so you can adjust for your comfort. What you plan to eat and drink, Sunglasses, Sun screen, and Hat. We furnish all Ice and Bait, Rods and Reels and Fishing License. We can arrange to have you lunch and snacks catered if you would like.